How did the season go for you team? This season was a real mix of ups and downs for us. We started off the season in the best position we have every been as a club, coming back off a very successful season, finishing 8th in Indoor IV’s and beating our seeding by 2 or 3 places at Outdoor IV’s. As a result we had retained 10 members for this year, meaning that it was the first year since the club was set up were we could field a full outdoor team without recruitment. The icing on the cake for us was that we also had Dominick Smyth in as a coach for the whole season, who had made a huge difference for us in terms of the quality of training sessions and improving everyone’s knowledge of the game which helped us immensely. So we had very high expectations for this season from the very start. We had decided among the committee that our main aim for this year was to win the plate at Indoor IV’s as it was a lot of members final year and they really wanted to finish off college Ultimate with some silverware and it was evident that we didn’t have enough depth in the squad to compete for the plate at Outdoor IV’s. Indoors for me was the highlight of our season by far. 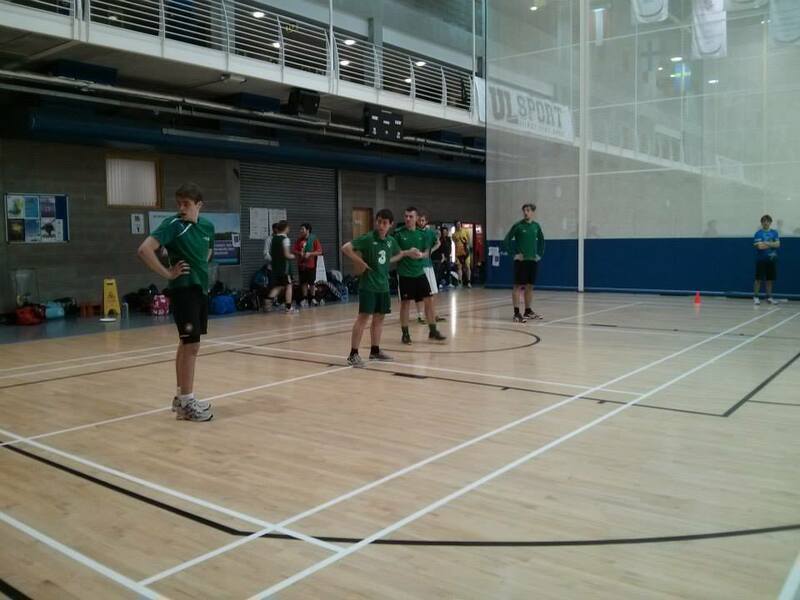 We began the day by playing two very tough games against UCD 1 and Trinity 1. We were inevitably beaten by both teams 13-3 and 13-2 as far as I remember, with the games being closer than the scoreboard suggests in my opinion. 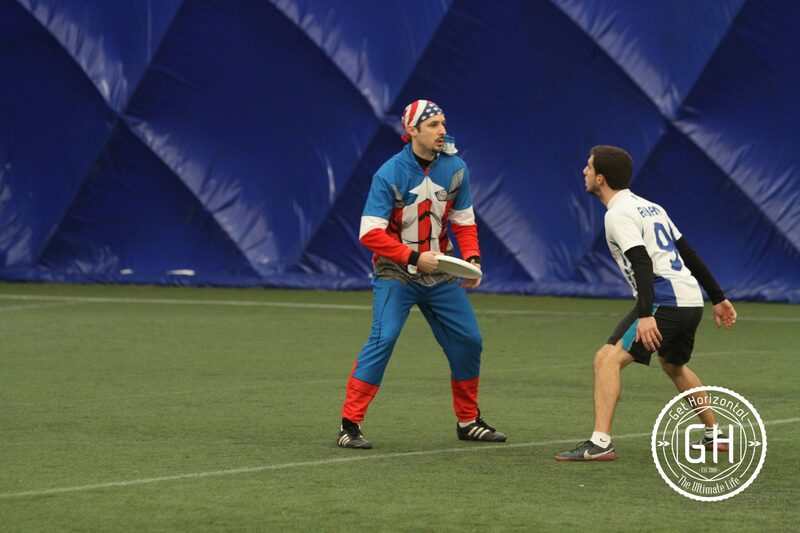 I was pretty proud of our performances in those two games as we played some really good Ultimate, quickly getting the disc off the sideline with crisp handler resets before looking for the deep throw into the end zone where we could use the aerial threat of players such as Luke Essex and Adam Gannon. We also worked well on defense and made both teams work hard to get the point, causing a good few turn overs. 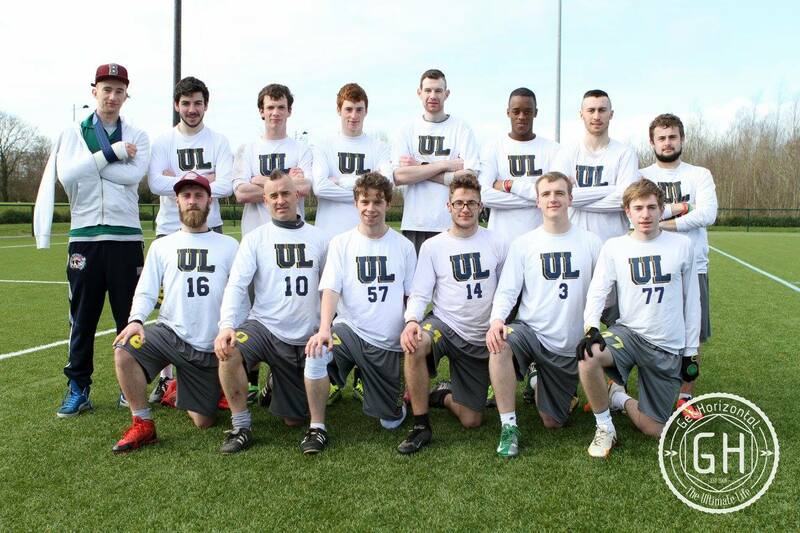 We then went on to win 3 games in a row, beating Maynooth 2 before facing 2 very tiring games against Trinity 2 and DCU which were both won on Universe Point. At this point we were exhausted after playing 5 tough, draining games in the one day and now had to face a very experienced NUIG 1 team in the plate final (who in my opinion definitely deserved to be in the top 8). With heavy breathing, calves cramping and feet burning, we just ran out of steam and were comprehensively beaten in the final as we could not find a solution to their infamous zone defense. Although we didn’t come away with the silverware, it was still a fantastic result and experience for us as we displayed some very effective Ultimate when playing to our strengths. From there our season began to take a turn for the worse. With a change to outdoor training in the new year, we found it very difficult to get numbers out, I think 8 was the most we had out all semester and at one time we didn’t train for 2 or 3 weeks due to a lack of numbers due to most people being in final year, which left a lot of people (especially myself) becoming very frustrated. If it wasn’t for Dom consistently coming out and giving it his all week in, week out and delivering quality sessions with such few numbers I could easily have seen us not bothering training all semester and possibly not even entering a team into Outdoor IV’s at all. Outdoor IV’s was a huge disappointment for me personally and it was certainly not how I imagined finishing off the season. We started off on the Saturda by playing well against UCD 2 but losing by a small margin, before beating DIT 2 on universe point. We then finished off the day by playing DCU, who were out for revenge from Indoors. DCU were on top of the game and looked very sharp from the first point and as the wind picked up their experience really showed through. We unfortunately found it very difficult to throw in the wind and were constantly pinned in the back of our end zone from each pull, which led to the my worst experience playing Ultimate, from never throwing a Callahan in 2 years of playing Ultimate to throwing two in 5 minutes. . . . . However demoralised we were from our last game on the Saturday we were determined to come out fighting on the Sunday and give it a shot, until about 11pm night when 4 people had to pull out (dislocated shoulder, torn calf, sick and another had to work) to only leave us with 5 players for the Sunday and we had to reluctantly pull out last minute. So obviously it was a very disappointing end to our season and one which I hope doesn’t happen again! tl;dr: Great start to the season, runners up in Indoor IV’s plate, very disappointing finish, had to pull out of Outdoor IV’s due to lack of numbers. What were the team’s highlights, and your own ones too? The highlight of our season was definitely beating DCU on universe point at Indoor IV’s to progress to the final of the plate. It was a game we certainly weren’t expecting to win as they had some very experienced players along with some very athletic beginners. DCU came out at us with a very well organised zone, something we hadn’t played against so far and never practiced playing against in training and we dealt with it perfectly. We stayed patient, never panicked or threw wacky discs and we literally walked the disc up to the edge of their end zone and jumped through their wall with our handlers every time, it was perfect. It was a great feeling to beat such a well organised team and to be in with a chance to win some silverware. Anything you would have done differently, looking back? Yes, I think we shouldn’t have taken training’s as serious as we did at the start of the year and we should have focused more on the reasons most people signed up for Ultimate, its a fun and friendly sport to play while still being very competitive. I think we may have expected too much from our beginners and assumed they could learn everything in one or two sessions (which obviously isn’t the case) and emphasized the competitiveness a little too much as it was most players last year to win something in college Ultimate. Something we are definitely looking to change for next year. Freshers was awful for us this year and it was the main cause of most of our problems as a club this year. As such a small club, we have always relied a huge amount on recruitment at freshers to replenish the ranks, but this year it just did not happen. The clubs and socs officer decided that instead of having a clubs and socs day in the hall like most years, there would be a whole week of sign ups where clubs were allocated 1 day to set up in the canteen and get people to sign up. This was a huge problem as we were trying to get people to sign up who were not interested in joining a new club and we were constantly met with the attitude of ‘Here lad, if I sign up will ya feck off and let me eat my lunch’. This, along with having no accommodation on campus, a late(ish) training time and poor public transport led to to a very poor turnout at our first session, only getting 5 beginners, compared to 15-20 last year. Unfortunately we didn’t get any players who have played in school previously, hopefully next year with the work that Dom and a few other people are doing to promote Ultimate in schools around Ireland we will be blessed with a few next year. We had only one beginner at the end of the year but he has been a huge player for us and he has come along leaps and bounds since the start of the year. He was one player that turned up to almost every session and it really showed in Outdoor IV’s when he scored 3 or 4 points for us before getting injured. Its really great to see such a huge improvement in such a short space of time, fair play Andy! How many of your first team players will you be losing? Are you excited / positive about 2015/6? We will be losing a whopping 7 players this year, which is a tough for any club, but for such a small club it is devastating , leaving us with only 4/5 players for next year. We are still unsure about the future of the club at the minute as there is a merger planned between DIT, ITB and ITT and to the best of my knowledge ITB will become ‘DIT Blanchardstown’ next year as a stepping stone towards Dublin Technology University. So a merger between ITB Ultimate and DIT Ultimate could possibly happen, however nothing has been discussed just yet and we would have to decide between ourselves, DIT and of course the IFDA first if this could go ahead, if not we will certainly give ITB Ultimate a shot. There will only be 2 of us playing over the summer so far. I will be playing with the new club Uproar and Alan Carter will be playing with Gravity throughout the summer. Luke Essex will be playing with Uproar too when he returns after his J1 and hopefully we can get a few more players involved with clubs throughout the summer as well. 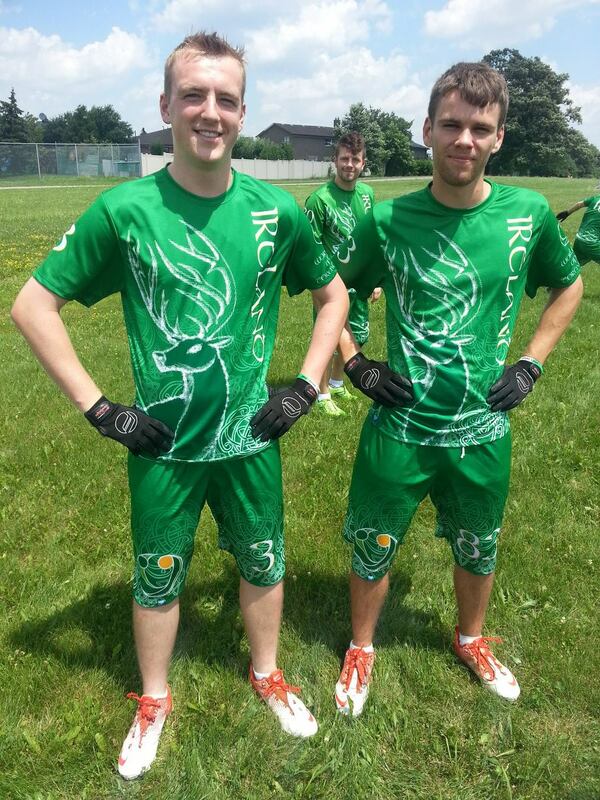 Will you follow the progress of the various Irish teams going to international tournaments this summer? Yes of course, I plan on following as much of the Irish teams as possible. 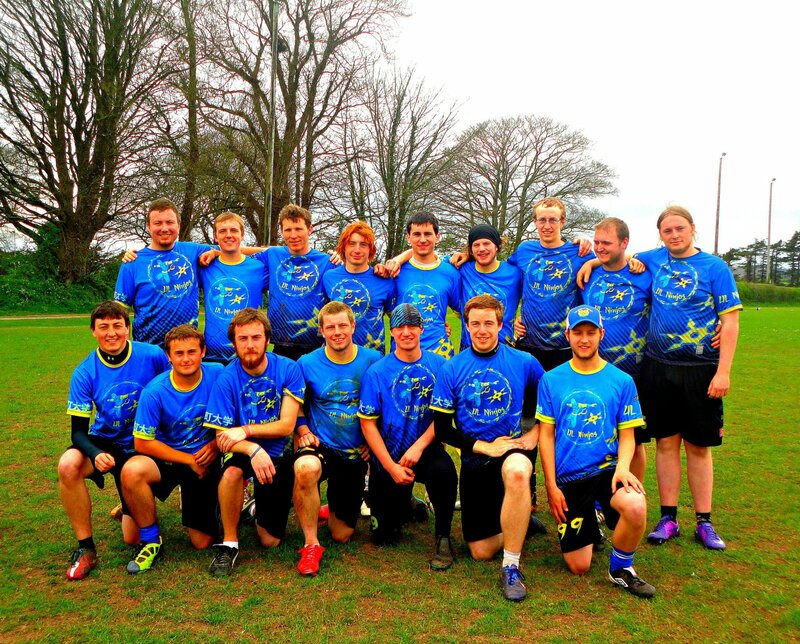 A few of the lads from Uproar will be involved with the Irish teams, Alan Kelly is playing for the Senior Open Team in Copenhagen and TP and LJ will be playing with the Mixed U23s in London and Aidan Kelly is the manager of the team, so I will definitely be interested to see how the lads get on. Anything you plan to do to improve your own game over the summer? Yes, I am constantly looking to improve my game and become a better player. I’m trying to improve my throws at the minute in training, trying to improve my flick huck in particular, its something I really lacked in the past. I’m also looking to bring a handling position to my game, playing 2 or 3 points in training as a handler. I am 100% a cutter and much prefer it, but having an ability to handle and cut is always handy to have in any team and at the minute I haven’t a breeze how to handle, so hopefully by the end of the summer I will see an improvement. As befitting for a man who doubles up as a comedian by night, this was a great interview, even, or perhaps because, it was so long in the making. Don’t believe anyone who says great art doesn’t take a long time to create. Delighted to present this interview with probably our longest standing Irish based American player, Jim Elliot @Jimpetuous, whoop whoop. Your back ground, you played in the states before you came here? 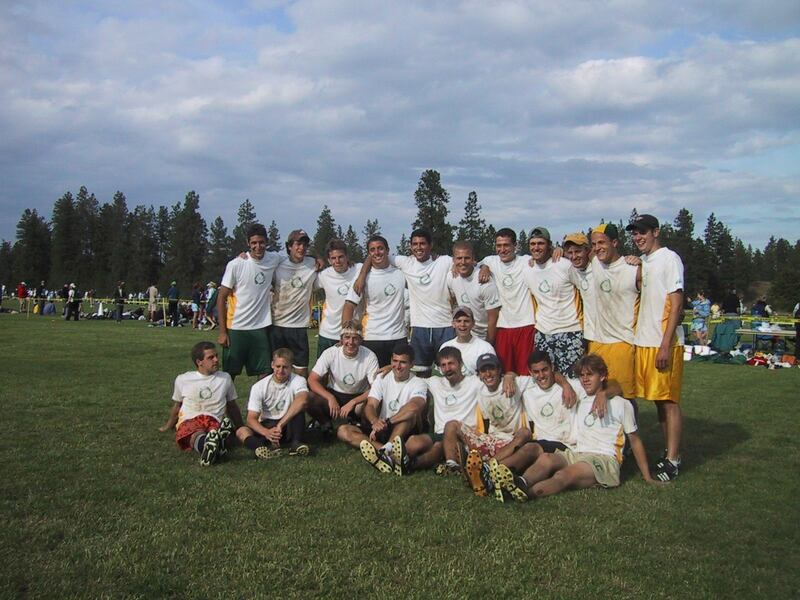 I started playing organised ultimate in college, at William & Mary in southern Virginia; during the summers I’d play in the Washington DC league. 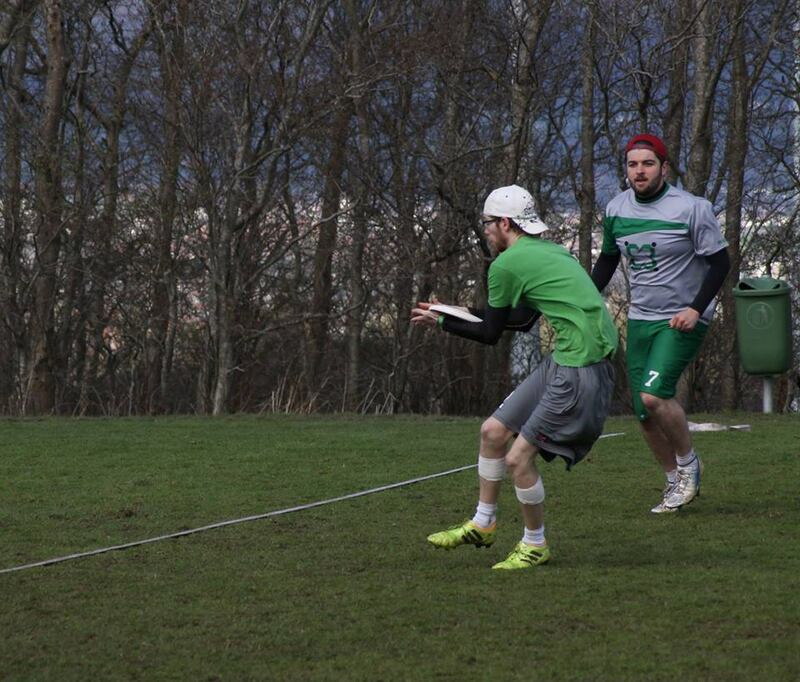 My college Ultimate experience oddly mirrored what I came to see in Ireland, in that I caught the program just as it rose from “bunch of stoned dudes having fun” to “competitive team”. My freshman year we all wore cotton T-shirts and every player was number 420; my senior year we qualified for College Nationals and made the final four. You first came to Ireland 2001/2? To study, what do you remember of that time, has ultimate changed since then? I first came to Ireland in the autumn of 2002. I had finished college with a degree in computer science, and this was right when the tech bubble had burst, so I wasn’t working at anything serious. A friend of mine found out that USIT would sell you a work visa for Ireland if you were a recent college graduate, and at the time I was stacking pallets in a warehouse. I figured if I’m just going to work an hourly job, I might as well move somewhere I’d never been and have some fun. 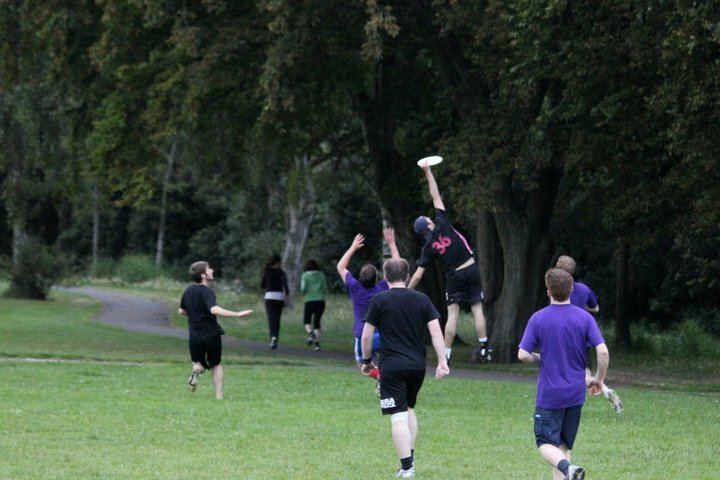 The month before I moved, I met Eoghan Barry, who told me that yes, they had Ultimate in Dublin; I think he was the one who originally told me about the Saturday pickup games in Herbert Park. You played for the national team in ’03 in France. What did you think of the experience? As an ultimate experience, it was super fun and remains one of my fondest tournament memories. I was proud to have made a national team, even if I was only an option due to a lack of domestic players. I’d never seen anything operating on this kind of international scale before. The tournament kicked off with a parade through the centre of the town before the opening game. How delightfully European, I thought. 2 from the perspective of how the team played? I think the team played about as well as you could expect, given the level of preparation and youth. Aside from yourself, Dom, Stokes, and OJ, all of the other players were still in college, weren’t they? I recall a few training weekends, but I’d be shocked if we’d played a single competitive game against anyone before landing in France. I never tried out again. I was away in 2007, and then by 2011 there had been a total step change in terms of the commitment required. I got the email about the tryouts and the tournaments the team would be attending, and I knew it wasn’t for me. I’m under no illusions as to my own level of play – I’d put myself on the upper end of the casual players. If your team is competitive enough to have track workouts, I probably don’t belong there. 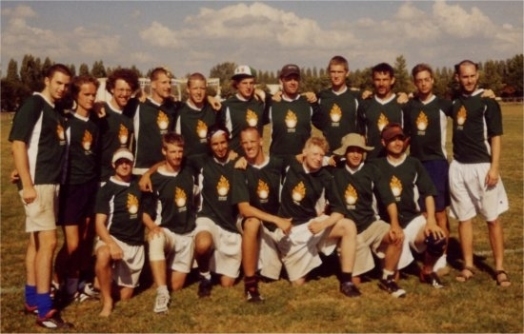 What’s you perspective on Irish ultimate over the 13 or so years you’ve seen it? what ;Good / bad / could do better? The scene has absolutely exploded since 2003. Regional teams? High school teams? The very idea would have been laughable in 2003. As for the international teams, it’s very different. In 2003 it was a few lads who were happy to even be playing in tournaments in other countries; now it’s some bloodthirsty dudes trying to take scalps. It’s great. What made you chose to play for Brocolli on your return to Ireland? Probably because Mark Earley was one of the first Ultimate heads I ran into when I got back to Ireland. Also, what was the alternative, play for Chimpo? Ugh. Those guys were dicks. Who would want to play for them? How is / was the vibe for the green veggies? Brilliant vibe. Who wouldn’t love coming second in every tournament? You’re a funny guy, what inspired the path into standup and how’s it going now? I’ve loved standup comedy since I was old enough to memorise an Eddie Murphy routine. It’s going grand; check out www.jimelliottcomedy.com to see where I’m gigging next. Working for paypal, any Ultimate vibe there? What’s you take on the tech scene in Ireland and how on earth do you manage and assess risk? Sounds hairy! No ultimate vibe there, which I’ve always felt was a shame. What with all the tech companies in Dublin, I think we’d be able to get a corporate summer league going without too much trouble. Anyone who works for Facebook or Google or Twitter who wants to set this up, get at me! Say a little bit more about getting to the final four, what did you do to become awesome? A couple things happened that helped the team make the leap in 2002- consistency and fresh talent. My senior year we had a core of 9 guys who’d been playing together for four years; and then this crop of new kids came in who were phenomenal players (two of them just won the UPA championships with Johnny Bravo, one as captain; another went on to help found the San Diego Growlers), and the combination of their talent plus the older guys’ experience made for a very good team. Of course, the only way for a team to get better is to get destroyed a bunch of times by good teams, and our college was in the same region as a North Carolina college on the tail end of some dominating years, so they were only too happy to oblige. Any favourite games, plays and or tournaments during your Irish playing career? European Nationals tops the list. Winning the All Ireland with Broccoli was great, even if I don’t remember what year that was – 2010, maybe? 2011? Do you still play now / what happens next? I play maaaaybe one or two tournaments a year now. Who are we kidding, it’s a young man’s game. When did UL team start? If my sources are correct, 2006. What’s your own background / what did you play before ultimate? Born and raised in the fine County of Limerick. Before Ultimate I was involved in most other sports, GAA, rugby and soccer being the dominant three for the best part of my teenage years. By the time I came to UL, soccer was the only one I had kept up. I’ll never forget the moment. 1st Year Clubs & Socs day in the UL arena, myself and Eimhin Daly were in an excited state signing up to different clubs like Skydiving and Table Tennis. We spotted two lads in UL jerseys throwing a disc back and forth and thought “Ya, I’ll pay €5 to join and learn how to do that”. Haven’t looked back since. How has UL evolved / changed over the last 4 years (since you’ve been playing)? A tough one to answer. In some ways the club hasn’t changed at all. The spirit among the members to do what’s best for the club has always been a big focus. I’m sure most colleges would say the same but I think there’s something special done in UL. One thing we do really well every year is integrating the beginners into the club quickly and smoothly. If that means spending an extra 30 minutes at the end of training explaining the flick to someone, or just immersing them into the chaos that is a UL house party, then so be it. Either way, people feel welcomed and tend stick around.>Talk about the UL facilities? “Ireland’s Sporting Campus” something that we hear a fair amount down here, but I think most people would agree there could be a lot of improvements. First team have a two hour slot on the 3G pitches (Siege pitches) but it’s between 4-6 so some people can’t attended because of labs. The other grass pitches we use can get pretty swamp like after rain, and no flood lights means trainings move onto a hockey astro pitch over the winter. We always thought Limerick would be a great place for an ultimate team, because you have such great resources, and a captive audience / campus college etc. Did you get good for this reason, or some other? I think the short answer would have to be no. Despite having gathered a lot of players from UL and Limerick secondary schools I think the reason we have turned into a strong Ultimate community can only be attributed to vast amounts of hard work from people that have come before me. I can imagine other places across the country could have similar facilities and player catchments, but our improvement in recent years can largely be attributed to the previous head coaches. Daragh Kelleher and Niall McCarney both invested huge amounts of their time into creating a more serious and thought out season long training plan for the Open team. This mentality is now ingrained in the ethos of the First team. Andrew Meade showed that this season by continuing on their good work. How was your 2014/15 season, high lights? Despite not ending how I would have liked, I can honestly say the 2014/15 season was the best season I’ve been part of in UL. I can’t fault the attitude and commitment of the 20+ players that committed to first team trainings, which is a big positive to take from the season. Cristy Tinkler’s hand-block layout callahan to put us ahead against Trinity is something which must also get a mention as a season highlight. That was cray-cray! Along with this, we recruited a lot of very talented players this year. Seeing them develop and win Dev’s was a great thing to be a part of. You did better indoors, why? Perhaps it was a confidence thing? We had won Indoors the previous year. Despite having only 2 returning players to the Indoor team this year I think everyone knew we could definitely win, simply because we did it last year. Outdoors was a different story. UL have had a bit of a reputation of not really turning up to IV’s. We focused a lot on our mental game this year but even reaching an IV’s final is something no UL team has ever been able to do. In no way am I saying we panicked, but I think we turned up to Indoors with a “Let’s win this again” attitude, where’s Outdoors had a “Let’s become the first team in UL history to do this” vibe about it. TCD semi final, tough break, would you do anything different if you played it again? Throw less turnovers and score one more point I suppose. Don’t think there’s much we could change, we spoke before the match about containing their big players like Sam and Cian. We got off to a great start and went 3-0 up, but there was a period in the middle of the game where we forgot our game plan and they got a few points back. Momentum swung back our way by the end and I thought we were going to do it, but another Sam to Cian connection on universe is what stopped us getting to the final. What’s next, for UL, and for you? UL continue to grow and work towards its first IV’s. With the progress we have made in the last 4 years since I joined the club, I think people know it’s only a matter of time before the work pays off. For me, I start work in Cork City this September. Until then I have U23’s and Nationals with PELT to train for. What’s the relationship between Pelt and UL? Do many people stay in Limerick after graduation? PELT and UL have a great relationship. When it was originally founded 3 years ago, PELT was entirely comprised of UL players looking for a club to train with over the summer. We’re now at the stage where both clubs are strong enough to play each other in a competitive game. This year, both PELT and UL were the highest finishing Club and College team at the Siege which was a great achievement.